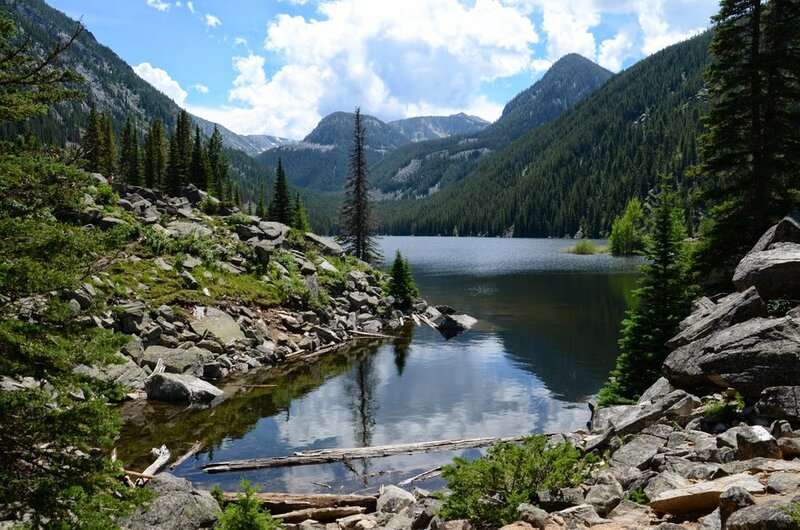 If you ask a local Montanan for a family-friendly hike recommendation near Bozeman there is about a 90% chance they will recommend Lava Lake. 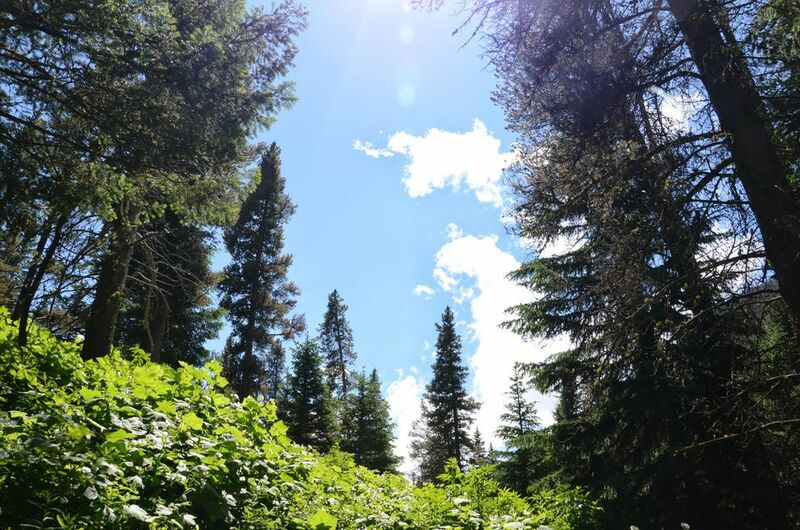 The trail is located in the Spanish Peaks section of the Lee Metcalf Wilderness Area and is a tourist favorite due to the convenience from both Bozeman and Big Sky. 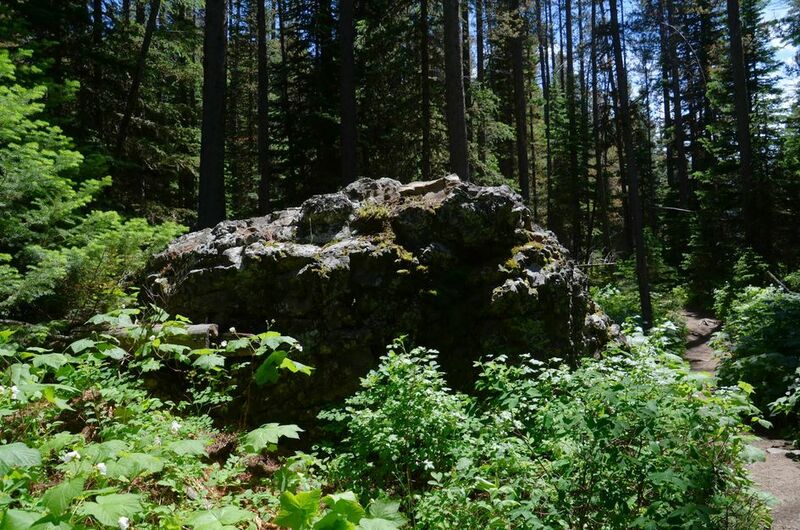 The Lava Lake Trail, also referred to as the Cascade Creek Trail, starts near the Gallatin River. 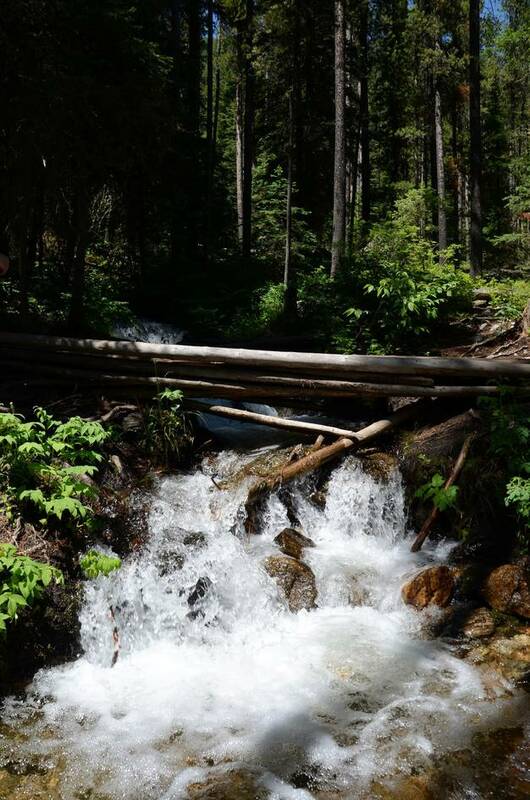 The majority of the hike will follow Cascade Creek up and through a dense evergreen forest. 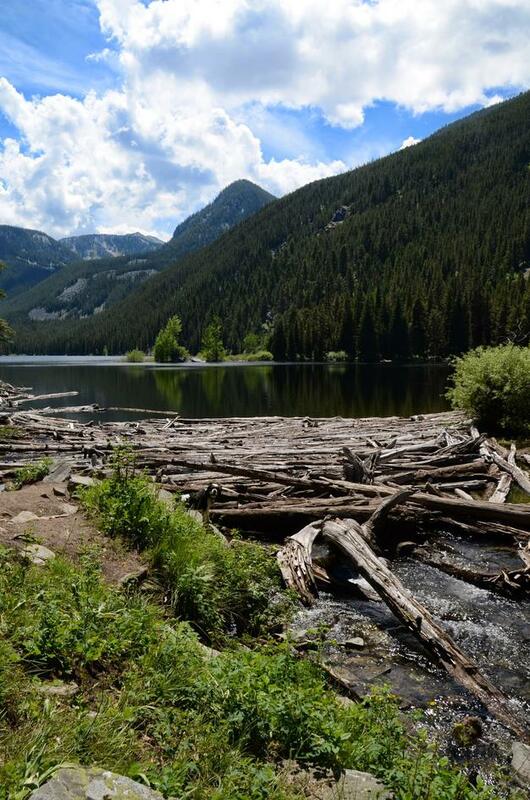 At the end of the hike you will emerge from the trees to a stunning view of the 47 acre lake. Plan to spend time at the lake, eating lunch, fishing and if it's warm enough, taking a swim! From Bozeman, head South on US-191/Gallatin Road past Gallatin Gateway for about 20 miles. Veer right off of US-191 when you see the Lava Lake Trailhead sign. There is a bridge right where the highway takes a sharp 90 degree turn and crosses the river. The turnoff is immediately north of the bridge, so if you're coming from Bozeman and you cross it you've gone too far. Once you exit US-191 you will follow a gravel road for a few hundred yards to an obvious trailhead sign for Lava Lake. Be Advised: You can only make a right hand turn to get to the trailhead off of the highway, so this means that if you are approaching from the South you have to drive past the access road to the signed "Lava Lake Turnaround" and head back to approach from the North. 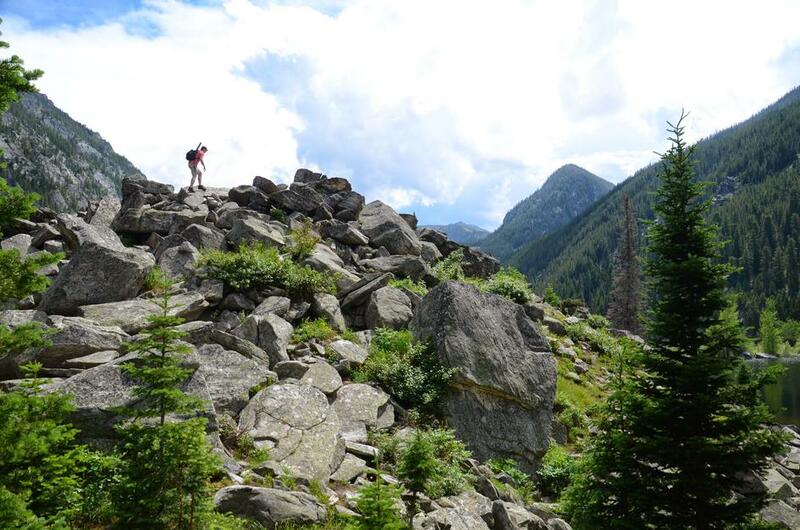 There's a steady elevation gain throughout the hike, averaging about 500 feet per mile. Averaging a little under 2 mph will get you to the lake in 90 minutes. With a 30 minute break at the top to take in some views, you can head back down and be back at the car in under 3.5 hours to make for a half-day hike. This route starts at 5679 feet above sea level and ends at 7130 feet. The hike moves steadily uphill with little, if any downhill sections. 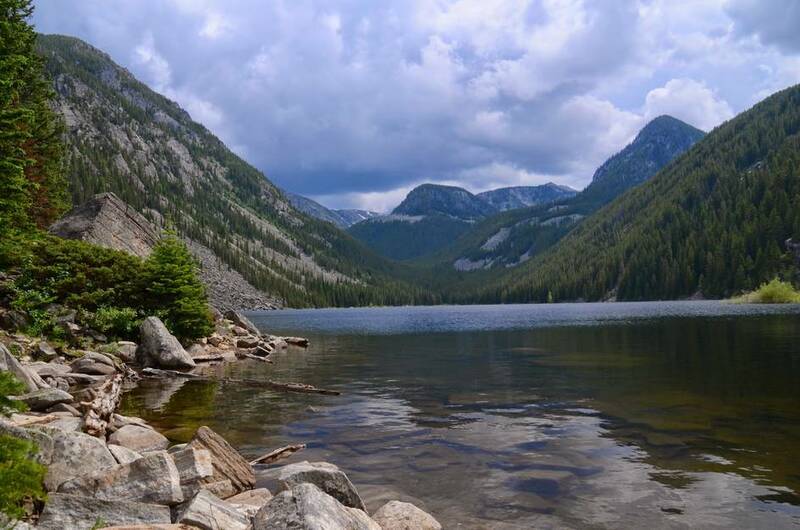 There are many alpine lakes to be seen in Montana, but few as big and as beautiful as Lava Lake. The 47 acres of crystal clear waters are surrounded by mountain peaks and thick patches of beautiful, green pine trees. Even though the lake is a popular destination, it's big enough for hikers to spread out, find some solitude and take in the view. This trail runs alongside and intersects Cascade Creek several times throughout the hike, not to mention ends at a lake. Opportunities for water purification are plentiful. 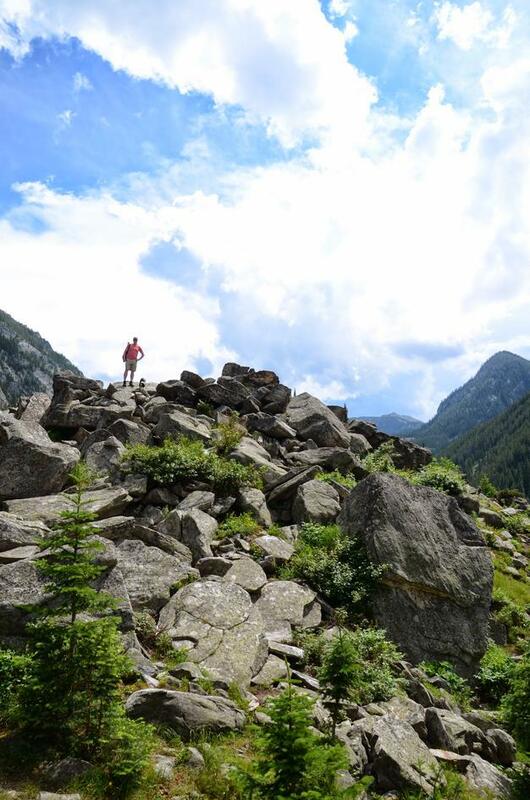 This is a short hike and food is not required. However, it's highly recommended to bring a small lunch or snack to eat up at the lake. The wide dirt trail is well beaten and easy to find. The path can get a bit rocky and you will have to be careful not to trip on the tree roots that consistently spread over the trail. Expect snow into Mid May and again in late September. 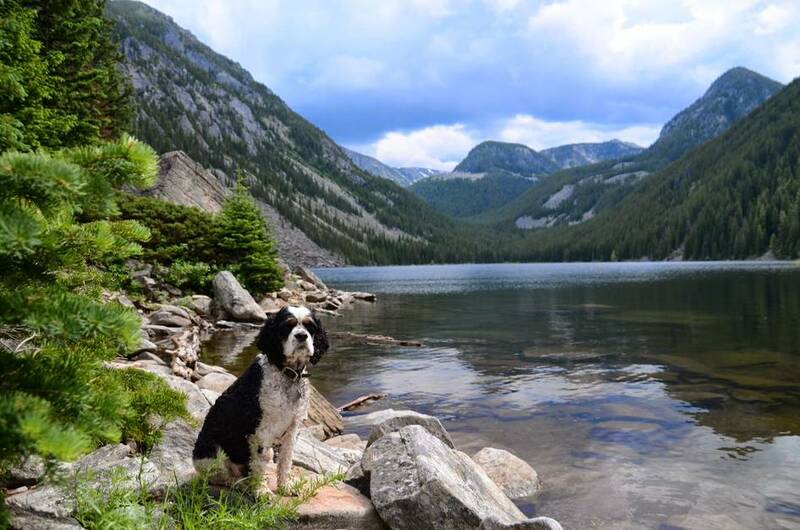 This hike provides ideal outdoor conditions for your dog: consistent water, shade and a giant lake to play in at the top. Because of the level of dog friendliness, you will run into A LOT of dogs. 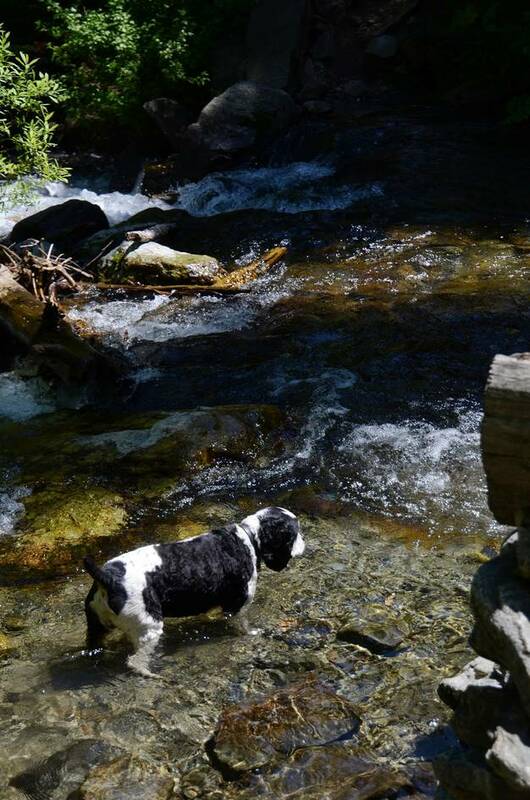 If your pooch prefers the company of humans he/she might get overwhelmed on this hike. Smooth, but windy highway miles all the way to the exit. Beartooth Publishing's Big Sky Area covers this entire trail. There are a couple of designated parking areas for hikers, but during the summer and especially on weekends, finding an open spot will be a challange. There is a parking lot on the East side of the river for the Gallatin Riverside Trailhead, but crossing the highway by foot is dangerous and not recommended. Get there early to nab a spot. 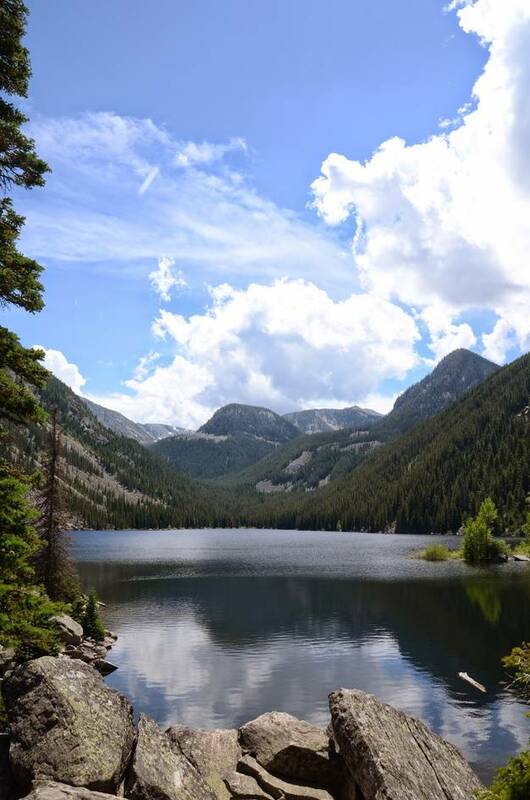 Lava Lake is one of the most popular hikes in the Gallatin Canyon, so be prepared to see a steady flow of people on your way up to the Lake and on your way back. Even if you get an early start there is bound to be a few groups of backpackers staying near the lake. There is a lot of shade on this hike, so you might be able to skip the necessary sun protection until you get to the lake. Shorts and a t-shirt would be fine in the warmer months because you won't be trekking through any tall grass on the trail. Consider bringing a swimsuit and towel just in case you feel like going for a dip in the lake. The entire trail leading up to the lake is shaded by trees. You will also be able to find shade in the trees surrounding the lake. Lava Lake is a popular choice for backpackers. You'll see a few well-used campsites near the lake—but there will be competition for them. Be Advised: Lava Lake has a restriction prohibiting campfires within 1/2 mile of the lake. Stove fires are permitted. When you get to the lake you'll see the trail takes a sharp left and starts to climb. This leads you to the ridge of Table Mountain. 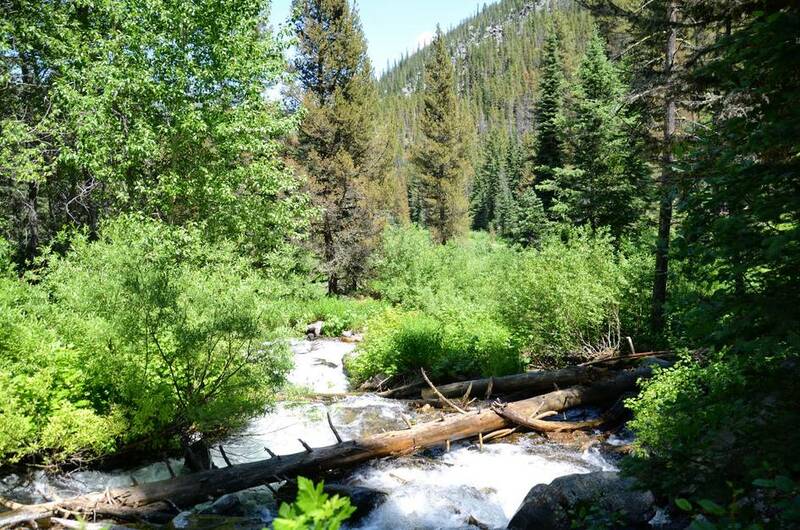 From here you'll intersect with the Asbestos Mine Trail, the Deer Creek Trail, and the Hellroaring Creek Trail leaving you with plenty of options for finishing a trip. Head to the inlet of the lake on the very Southern tip and the trail continues. From here you can head Southwest up to Jumbo Lake or either of the other two drainages South of Lava Lake. Make sure to scout this out on Google Maps or elsewhere first as it's not an officially maintained path.